Have I Fully Accepted God's Mercy? But he refused. Instead, he had him put in prison until he paid back the debt. Now when his fellow servants saw what had happened, they were deeply disturbed, and went to their master and reported the whole affair. His master summoned him and said to him, 'You wicked servant! I forgave you your entire debt because you begged me to. Should you not have had pity on your fellow servant, as I had pity on you?' Then in anger his master handed him over to the torturers until he should pay back the whole debt. So will my heavenly Father do to you, unless each of you forgives his brother from his heart." I recently found myself seized with amazement at the height and depth and width of God’s mercy. In this moment of prayer, I pondered Jesus hanging from the cross, enduring unimaginable suffering out of love for us and in order to make real the Father’s mercy. In my prayer, I also called to mind how many times I have been to confession over the years . . . how patient and generous God has been with the gift of His forgiveness to me. I also reflected on the tremendous number of young people that I saw go to confession at World Youth Day in Spain. As Christians, we believe in a God who deeply desires to offer His free and generous mercy to His children who come with contrite hearts before Him. Our praise of God for this gift should never cease. Have I fully accepted God’s mercy in my life? One test for the answer to this question is our willingness to forgive our neighbor. Jesus tells a powerful parable in the 18th chapter of Matthew’s Gospel about the unforgiving servant which teaches very clearly that it wrong to embrace God’s mercy for our “debts” and in turn withhold that mercy from our neighbor. It reflects a real failure to grasp the magnitude of God’s generosity. When God has forgiven a debt that we can never possibly repay, how do we hang on to the smaller debt that another owes us? The flip side of the coin is that when we do forgive our neighbor, especially for a grievous fault, we render to God true gratitude for His mercy. In fact, it is one of the most beautiful ways that we live out the reality that we were made in God’s image and likeness. We imitate God and His goodness when we forgive like He forgives. It is then that God’s grace flows freely through us in the most powerful of ways. An additional grace that flows from the exercise of mercy is that we are set free from the burden of anger and resentment that builds up when we fail to forgive. It is so easy for the sins of our neighbor to become like shackles that weigh us down when we are unable to let go of the hurt and anger that come from being wronged. We can carry those shackles around for years, and they can steal our joy, our ability to move on and our capacity to live in the fullness of life. Accepting God’s grace to forgive our neighbor sets us free. As our country prayerfully celebrates the 10th anniversary of the terrorist attacks on our home soil, Jesus’ message is acutely relevant. While we have a duty to work hard to protect our land from further attacks (work that will take on a variety of dimensions including prayer, education and security measures), Jesus reminds us today that forgiveness is critical to moving forward. A second test for the answer to the question, if I have fully accepted God’s mercy, is the ability to forgive ourselves. Accepting God’s mercy can be hard enough in some circumstances of our loves, however, learning to forgive ourselves can be just as hard with some sins. Most of us know the difficulty of this particular battle. When we look back over 2,000 years of Christian history, we can take comfort in knowing that some of the greatest sinners have become the greatest saints. 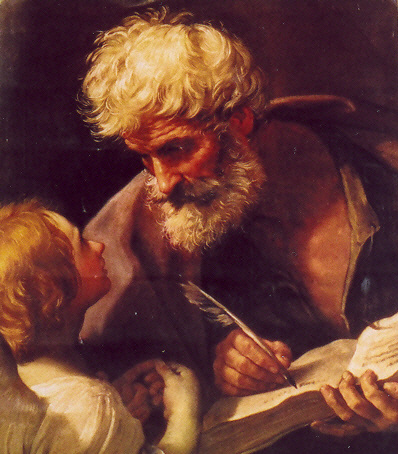 From the Gospels, St. Peter and St. Matthew come quickly to mind. From the history books, St. Augustine and St. Ignatius of Loyola jump out. Part of true contrition is letting God place our past in the past and granting us brand new life in the present. His merciful love transforms us into children of light and allows us to start all over again. Our praise of God for His mercy should never cease.